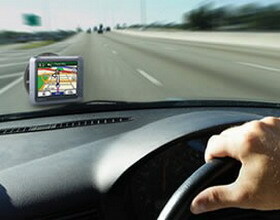 Satellite Navigation Systems have revolutionized how we travel. Once upon a time it was necessary to use a folded up map to know where to go but these days all you have to do is plug in your sat nav and tell it where you want to go. Although it is much easier now, it is still hard to find the best sat nav around. With so many different products on the market, it can be very confusing to find the best. When you are choosing a GPS system there are a few things that you need to take into consideration. The first thing is the brand name. Don’t buy a sat nav system that is not made by a brand that you trust. A number of people go for the cheaper option but find that after a few months they are left with a system that doesn’t work well and sends them down the wrong roads due to old maps which don’t take into account new roads. The next thing that you should consider is how much you are willing to spend. These days you can get a perfectly good Sat Nav for a good price if you are willing to sacrifice some of the features. Some Sat Nav systems have a lot of extra features such as traffic reporting but these definitely come at a price. The final thing you need to consider is where you will be using the system. If you are traveling to Europe often then it might be an idea to get a system which has maps of Europe. On the other hand, if you don’t need these, there is no need to pay extra for them. Some systems can be updated which gives you the best of both worlds in case you choose to get the maps at a later date.